Asian shares withered on Tuesday and the yen firmed against the backdrop of rising tensions on the Korean Peninsula, and as investors awaited fresh signals about the U.S. monetary policy outlook. Federal Reserve Chair Janet Yellen is scheduled to speak later on Tuesday (1645 GMT) on “Prospects for Growth: Reassessing the Fundamentals”. Investors will be parsing her words for clues on whether the U.S. central bank will stick to its plan to raise interest rates in December. North Korea’s foreign minister said on Monday that a weekend tweet by President Donald Trump counted as a declaration of war on North Korea and that Pyongyang reserved the right to take countermeasures, including shooting down U.S. bombers even if they are not in its air space. North Korea has been moving airplanes and boosting defenses on its east coast after the United States dispatched B-1B bombers to the Korean peninsula over the weekend, South Korea’s Yonhap News Agency reported on Tuesday, citing the country’s spy agency. The yen tends to benefit during times of risk aversion due to Japan’s net creditor status and the expectation that Japanese investors would repatriate assets when facing a crisis. The euro steadied after tumbling on Monday following a severely diminished election victory for German Chancellor Angela Merkel that was accompanied by a surge in support for the far right. Support for Merkel’s conservatives unexpectedly slumped to its lowest since 1949 and the Social Democrats, partners in the outgoing coalition, said they would go into opposition. On Monday, New York Fed President William Dudley said the U.S. central bank is on track to gradually raise rates given factors depressing inflation are “fading” and the U.S. economy’s fundamentals are sound. But Chicago Fed President Charles Evans said the Fed should wait until there are clear signs of faster wage and price growth before hiking rates again. EUR/USD declined after Germany's federal election on Sunday showed growing support for a far-right party. Chancellor Angela Merkel won a fourth term in office on Sunday but will have to build a coalition to form a government as Conservatives lost support in the face of a surge by the anti-immigration Alternative for Germany (AfD). Earlier Monday, data showed that German business confidence edged lower in September. However, the reading remained close to the highest level on record, suggesting momentum in the euro zone's biggest economy remains strong. GBP/USD held steady, recovering from moderate losses posted on Friday after UK Prime Minister Theresa May gave few new indications on how Brexit will proceed. May proposed a transition period of around two years after the UK leaves the European Union, during which time access to the single market will continue on current terms. Following May's speech, ratings agency Moody's downgraded Britain's credit rating to Aa2, saying government plans to reduce debt had been knocked off course and that Brexit would weigh on the economy. Also Monday, Japan's Prime Minister Shinzo Abe called a snap general election that will decide whether the country sustains its massive economic stimulus. The vote is set for October 22. The ruling National Party won the largest number votes, but neither of the major parties won enough seats to gain a majority in parliament, forcing a round of coalition talks that could last days or weeks. Oil prices took a breather on Tuesday after Brent crude earlier rose to a 26-month high, supported by Turkey’s threat to cut crude flows from Iraq’s Kurdistan region to the outside world. Turkish President Tayyip Erdogan threatened on Monday to cut off the pipeline that carries oil exports from northern Iraq, intensifying pressure on the Kurdish autonomous region over its independence referendum. The pipeline to Turkey’s port of Ceyhan usually pumps between 500,000 and 600,000 bpd. The loss of this supply combined with the 1.8 million bpd of supply cuts by the OPEC and non-OPEC producers has raised concerns of tighter supply. The Iraqi government said it will not hold talks with the Kurdistan Regional Government about the results of the referendum, which is expected to show a comfortable majority in favor of independence after the results are announced in about 72 hours. However, other analysts were cautious of further price gains because of higher oil output from the United States. The U.S. Energy Information Administration said that production from wells in shale formations will rise for a 10th month in a row in October. U.S. crude prices have lagged behind Brent’s gains amid a large oversupply exacerbated by Hurricane Harvey, which forced the closure of nearly 25 percent of U.S. refining capacity. U.S. crude inventories likely rose by 2.3 million barrels last week, a preliminary Reuters poll showed ahead of data by American Petroleum Institute (API). Gasoline stockpiles likely fell by 1 million barrels, while distillate inventories, which include heating oil and diesel fuel, were forecast to fall by 2.5 million barrels. The API is scheduled to release its weekly data at 4:30 p.m. EDT (2030 GMT). Gold on Monday made its intraday high of US$1312.02/oz and low of US$1289.44/oz. Gold was up by 0.985% at US$1310.48/oz. Based on the charts and explanations above; sell below 1311-1340 keeping stop loss closing above 1340 and targeting 1300-1294-1288 and 1284-1276. Buy above 1300-1276 with risk below 1276, targeting 1311-1319 and 1324-1330. Silver on Monday made its intraday high of US$17.16/oz and low of US$16.82/oz. Silver settled up by 1.179% at US$170.16/oz. On daily charts, silver is sustaining below 200DMA (17.10), breakage above will lead to 17.80-18.00. MACD is above zero line and histograms are increasing trend and it will bring bullish stance in the upcoming sessions. RSI is in oversold region, indicating buy signal for now. The Stochastic Oscillator is in oversold region and giving negative crossover to show upside move for the intraday trade. Based on the charts and explanations above, buy above 17.00-15.85 targeting 17.30-17.70-18.00 and 18.35-19.00; stop breakage below 16.00. Sell below 17.30 -19.30 with stop loss above 19.30; targeting 17.30--17.70 and 17.00-16.50-16.00. EUR/USD on Monday made an intraday low of US$1.1831/EUR, high of US$1.1935/EUR and settled the day up by 0.0835% to close at US$1.1847/EUR. GBP/USD on Monday made an intra‐day low of US$1.3430/GBP, high of US$1.3569/GBP and settled the day by down by 0.163% to close at US$1.3465/GBP. Based on the charts and explanations above; short positions below 1.3500-1.3770 with targets at 1.3450-1.3400-1.3350 and 1.3270-1.3200. 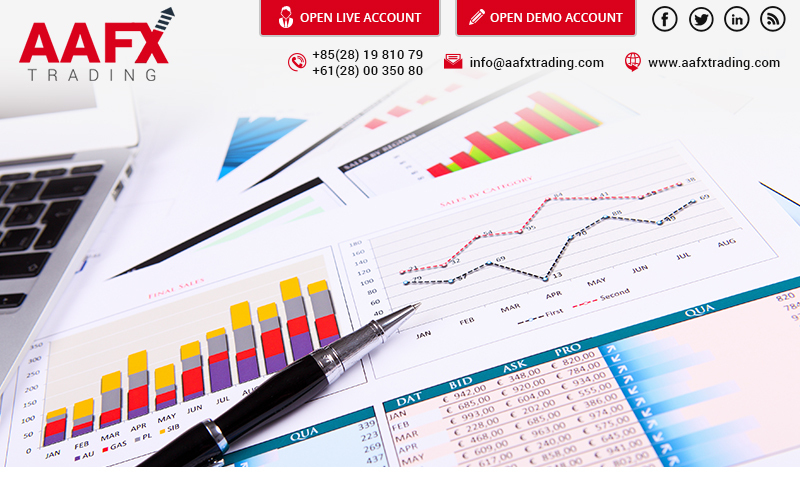 Buy above 1.3450-1.3200 with stop loss closing below 1.3200 targeting 1.3500-1.3610-1.3700 and 1.3770-1.3850. USD/JPY Monday to made intra‐day low of JPY111.46/USD and made an intraday high of JPY112.52/USD and settled the day down by 0.613% at JPY111.72/USD.